Tulip Street, Liverpool N.Y. for licensed Ham Radio operators preparing to upgrade or those working to obtain their new Ham ticket. Registration: Sargent Room 12-1 p.m.
You will need two forms of ID, one w/your picture, and $14 fee (W5YI-VEC) cash or M.O. The Syracuse VE Team conducts exams every quarter. Contact them at the e-mail address above if you have any questions. Missing Ham equipment - HELP! Please be on the lookout for some radio equipment that was stolen in Cayuga County in the last 30 days. This equipment may be in the Auburn/Syracuse/Rochester area.......please watch for it! If you have heard of or seen this equipment, or have questions about it, please contact Tim, N2VZD at N2VZD@aol.com or give him a shout on the 146.67 KD2SL repeater. Have you ever wanted to find some of those old Ham radio magazine articles? 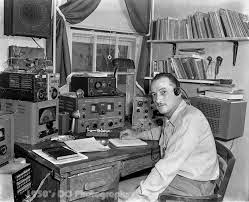 Well, thanks to the Internet you can now have access to copies of hundreds of old Ham radio publications. These archives are searchable and contain a lot of excellent information that is still very relevant to our hobby. Check it out! 73 Magazine (also known as 73 Amateur Radio Today) (OCLC 22239204) was a United States-based amateur radio magazine that was published from 1960 to 2003. It was known for its strong emphasis on technical articles and for the lengthy editorials in each issue by its founder and publisher, Wayne Green. Tropospheric propagation describes electromagnetic propagation in relation to the troposphere. The service area from a television (TV) or frequency modulated (FM) radio transmitter extends to just beyond the optical horizon, at which point signals start to rapidly reduce in strength. Listeners or Viewers living in such a "deep fringe" reception area will notice that during certain conditions, weak signals normally masked by noise increase in signal strength to allow quality reception. Such conditions are related to the current state of the troposphere. Tropospheric propagated signals travel in the part of the atmosphere adjacent to the surface and extending to some 25,000 feet (7,620 m). Such signals are thus directly affected by weather conditions extending over some hundreds of miles. During very settled, warm anticyclonic weather (i.e., high pressure), usually weak signals from distant transmitters improve in strength. Auburn's 2nd Annual Ham Swap Meet is coming! Admission is $3.00 at the gate or a bag of (unexpired) canned goods. All proceeds will be donated to a local Food Pantry. Come join us at a great little Saturday morning Swap Meet (mini-hamfest). There are no shelters, food or bathrooms. However, McDonalds is 100 ft east of the Swap. Sell from your trunk, tailgate, or bring a table. This was a fun event last year, so tell all your friends. As of the end of this week the 146.76- repeater will be no more. Due to much interference from other repeaters with the same frequency, and interference from other electronics with that frequency (ever go by a gas station with that frequency on? ), it is being changed. 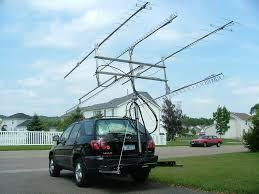 The new frequency will be 147.030+ pl 151.4. The repeater will be deactivated as of Wednesday evening and will hopefully be back up with the new frequency on Thursday evening. Thank you for your patience at this time!